Bishop Nehru releases video for "Midnight Reflecting." New York rapper Bishop Nehru announces his Nehru: Nehruvian EP and shares two new tracks, "Harmony In a Glass" and "Breathe (Prana/$pirit)." Young New York upstart Bishop Nehru and masked legend DOOM have shared a first cut off the joint project they’ve been teasing for a minute now. 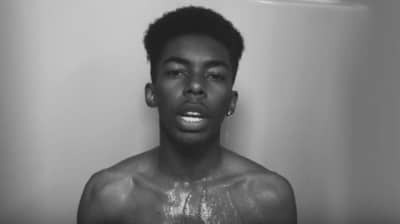 NYC rapper Bishop Nehru raps over a slowed-down, no-worries beat from Disclosure. NY teenager releases self-directed video ahead of collaborative EP with MF DOOM.